Lydia 7 mirror with seven long bevelled mirror panels on a chrome effect backing frame. Overall size.95X61cm. 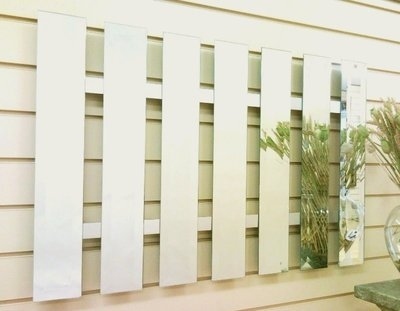 Lydia 7 wall mirror with seven long bevelled mirror panels and a chrome effect backing frame.